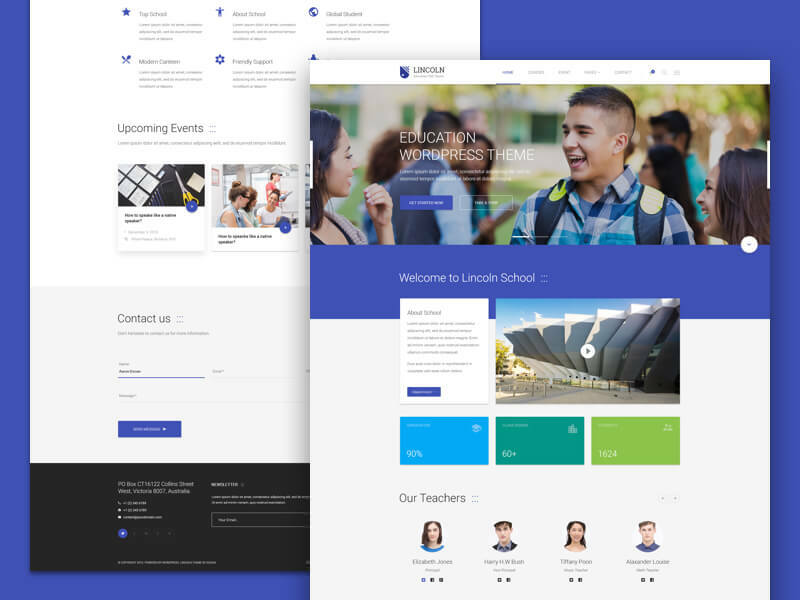 Lincoln WordPress Theme - Perfect Material Design for Education! 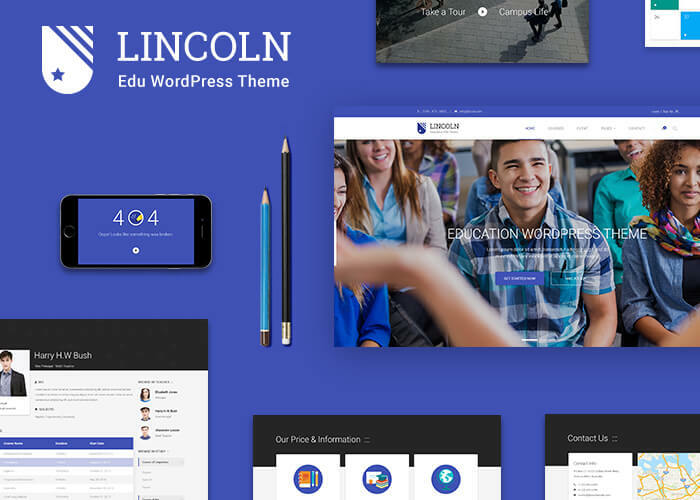 Our Lincoln WordPress Theme is by far one of the most advanced WordPress Theme using latest Material Design. It is ideal for those who wish to create an informative and effective education web page with a small budget. Though it is perfect for education industry, yet it’s still flexible enough to be used for business website and creative digital agencies. Since modern education is expected to be professional at all angles, so part of being professional here means you need to have a full-fledged website with the most trendy look. If you or your clients are searching for a powerful management system which has both ‘cool’ material design and user-friendly, Lincoln will definitely be a great choice! For more information, come and visit at our Demo and ThemeForest Link Item!! We are a team of passionate designers, marketers and developers who are specialized at creating professional clean site templates. Our mission is to build friendly, neat and modern designs for web users. Finally, we would like to thank everyone for support us day by day and we guarantee that we will invest all of our skills and strengths into products and support.